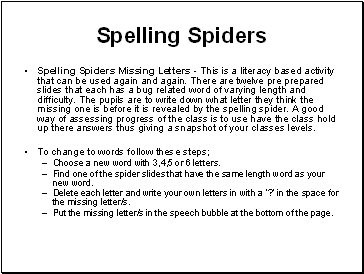 Spelling Spiders Missing Letters - This is a literacy based activity that can be used again and again. There are twelve pre prepared slides that each has a bug related word of varying length and difficulty. The pupils are to write down what letter they think the missing one is before it is revealed by the spelling spider. A good way of assessing progress of the class is to use have the class hold up there answers thus giving a snapshot of your classes levels. Choose a new word with 3,4,5 or 6 letters. 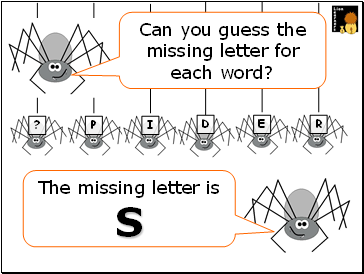 Find one of the spider slides that have the same length word as your new word. Delete each letter and write your own letters in with a ‘?’ in the space for the missing letter/s. Put the missing letter/s in the speech bubble at the bottom of the page. different species of spider in the UK! 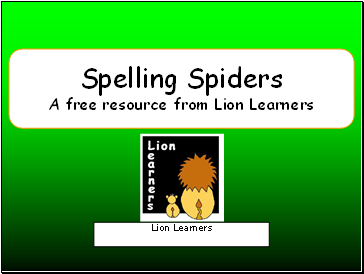 All spiders produce silk but not all spiders spin webs. 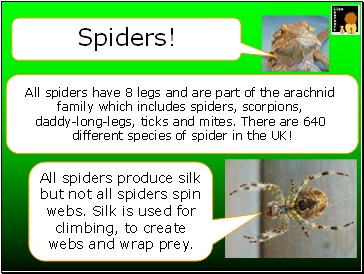 Silk is used for climbing, to create webs and wrap prey. 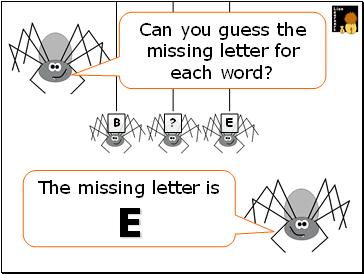 The spiders are going to spell out some key words and you have to guess the missing letter. 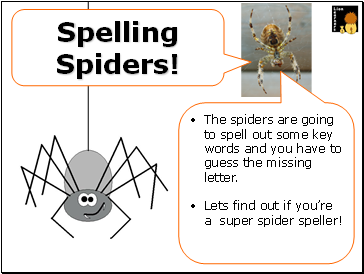 Lets find out if you’re a super spider speller! Can you guess the missing letter for each word?